Norman Jewison speaks to residents at the CFC. Norman Jewison with CFC alumni John Fawcett and Graeme Manson at CFC in LA 2015. Norman Jewison with Jim Cuddy, Gary Slaight, Slawko Klymkiw & Mychael Danna. Norman Jewison with Charles Taylor discussing plans for the CFC campus on Windfields Estate. Norman Jewison and Lynne St. David-Jewison with Helga Stephenson. Norman Jewison with CFC alumnus Don McKellar at CFC in LA 2016. Norman Jewison with Martin Sheen and Emilio Estevez at the CFC. Norman Jewison with Paul Haggis at the CFC. Norman Jewison with Whoopi Goldberg at the CFC. 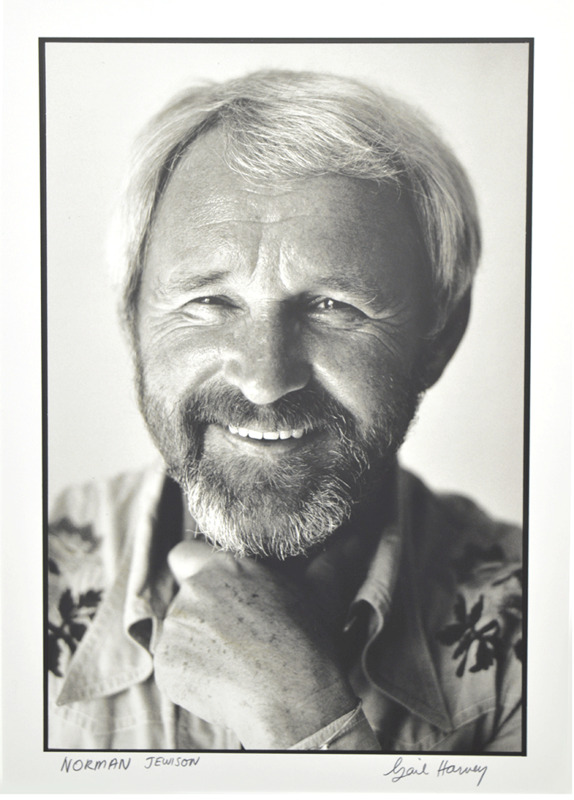 Norman Jewison is an award-winning, internationally acclaimed filmmaker who has produced and directed some of the world’s most memorable, entertaining and socially important films, exploring controversial and complicated subjects and giving them a universal accessibility. Some of his most well-known works include the sharp pre-glasnost political satire The Russians Are Coming, The Russians Are Coming, the original and iconic The Thomas Crown Affair, the sultry mystery and racially provocative In the Heat of the Night (winner of five Academy Awards, including Best Picture), the first rock opera Jesus Christ Superstar, the futuristic cult hit Rollerball, hit musical comedy-drama Fiddler on the Roof, the romantic comedy Moonstruck, courtroom drama ...And Justice For All, military drama A Soldier’s Story, the labour movement picture F.I.S.T., war dramas The Statement and In Country, and the masterfully told story of Reuben 'Hurricane' Carter The Hurricane, among many others. Jewison has been personally nominated for four Oscars and received three Emmy Awards; his films have received 46 nominations and won 12 Academy Awards. In 1999, Jewison received the prestigious Irving Thalberg Award at the Academy Awards. In Canada, his life’s work has been recognized with the Governor General’s Performing Arts Award, and he was named an Officer of the Order of Canada, a member of the Order of Ontario, and a Companion to the Order of Canada, Canada’s highest civilian honour. In 2010, Jewison was presented with the Lifetime Achievement Award from the Directors Guild of America. A modern trailblazer in the development of Canadian film, Jewison is committed to advancing the art of storytelling and filmmaking, both through his groundbreaking films, and through his creation of the Canadian Film Centre (CFC) in 1986, which opened its doors in Toronto in 1988. Celebrating 30 years, the CFC is a charitable cultural organization that supports, develops and accelerates the content, careers and companies of Canadian creative and entrepreneurial talent in the screen-based and digital industries.